Our distribution centers hours of operation are from Monday through Friday, between the hours of 6 a.m. – 3 p.m. EST. 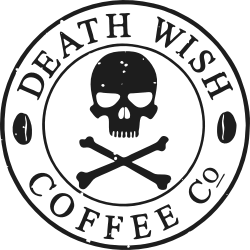 Death Wish Coffee is proudly roasting beans each and every day. Since coffee is roasted daily, we strive to ship out orders on the same day they're placed. This can change depending on operational needs and daily volume. *Please keep in mind that we are a small-batch, roast-to-order coffee company. This means that once your order is received, we typically start the fulfillment process immediately. Because of this, any changes must be received within an hour of receiving this order confirmation email. As soon as your order is placed, we'll send you an email letting you know we've received your information and will begin putting together your shipment. The first email you receive will have these details within it, keeping you in the loop all the way through.